The Moon-Regan Transantarctic Expedition intends to cross the continent of Antarctica. 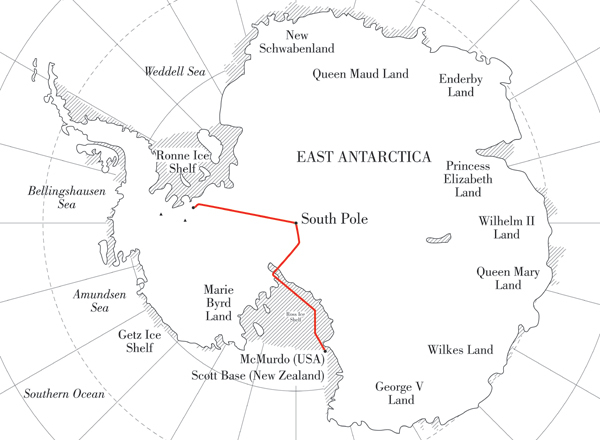 The team began their journey at Union Glacier, on the west coast and made for the South Pole. The team then headed south to the Leverett Glacier, which runs down to the south coast of the continent. If the team has time, they will continue across the Ross Ice Shelf to McMurdo, a place steeped in Antarctic exploration history.